It's Officially Peach Season in North Texas! We have purple hull peas at The Frisco Rotary Farmers Market! When I moved to Texas in 1982 I didn't get the love affair with black eyed peas (or greens, but that's another column). For the first two decades I lived in Texas, my only interaction with "cow peas" or "southern peas" was a taste of black-eyed peas on New Years Day. Not impressed with the taste, I still would try them to be sure that I enjoyed prosperity in the new year! It wasn't until I began managing the McKinney Farmers Market that I was introduced to the better tasting cousin of the black eyed pea, the purple hull pea. The distinctive purple hull is what gives the purple hull peas their name. 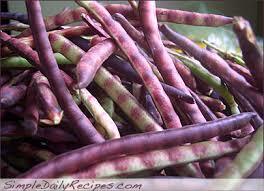 The purple hull peas look different from black-eyed peas, with a light greenish tint and a purple hull. 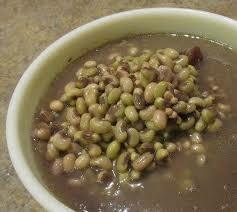 But the most important difference is the taste of the purple hull peas...a nutty, sweet taste with a creamy texture. Botanists believe that "cow peas" were brought to America by slaves in the early 1800's. They were mostly used for cattle forage, thus their name. Eventually people discovered their unique taste and began using them in dishes like the one that follows. Luckily the purple hull pea season is a long one in North Texas so you'll have plenty of time to enjoy some from the Frisco Rotary Farmers Market! Place purple hull peas into a large Dutch oven and add water to cover. Bring to a boil and cook, uncovered, for 30 minutes. Drain. Brown chorizo sausage in a saute pan. Add onions and cook until transparent. Add chorizo, tomatoes, peppers, chicken broth, celery and onion to peas in Dutch oven. Add spices. Calling All FRFM Supporters - Last Chance to Put Your Business Logo on Our 2018 T-Shirt! Are you looking for a way to reach out to health minded families that support local business? Those are the people that visit the Frisco Rotary Farmers Market each week for 34 markets per year with over 1500 visitors at each market. 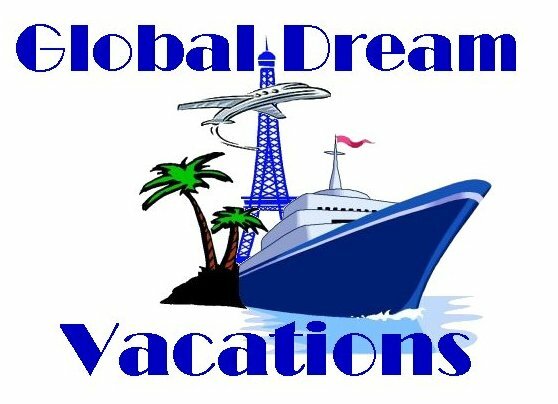 Join our other sponsors and add your logo to this newsletter, our website, our signage and FRFM t-shirts. 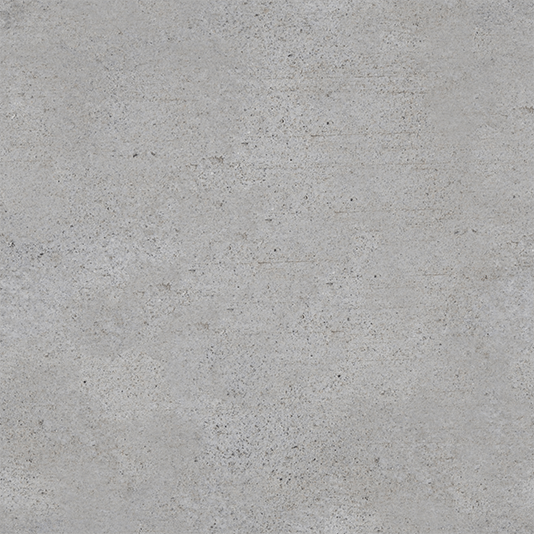 For more information about sponsorships click the button below. To add your logo to our 2018 t-shirt sign up on our website or send an email to cindytexas@tx.rr.com. The $100 sponsorship includes two t-shirts. Become a FRFM Sponsor Today! Need service hours for your company or organization? Need service hours for community service or your school? Volunteer and have fun at The Frisco Rotary Farmers Market each week! 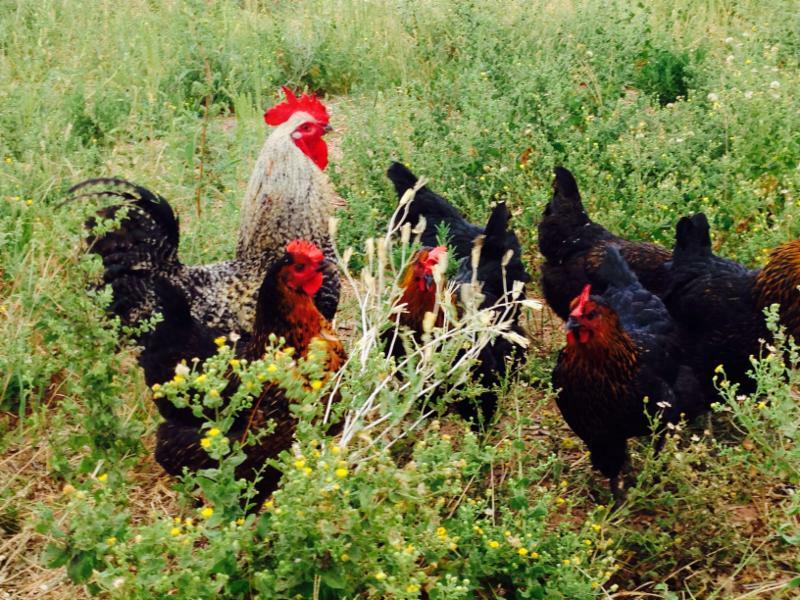 What's Fresh in June at the FRFM? Peaches for Sure!! Like What You See? Subscribe to the FRFM Weekly Newsletter. The Warne family is a 3rd generation beekeeping family whose beginnings started before the Great Depression with AP's grandfather, Ralph Jasper Warne. He became a commercial beekeeper that migrated through Minnesota, the Dakotas, Colorado and South Texas every year during the 1930's, 40's, 50's and some of the 60's. During this time, beekeeping was a lifestyle for the whole family and the Warne's five kids helped in some capacity. Unfortunately, the family business began to shrink over time and temporarily ended when AP's grandfather passed away on January 3, 1990. For almost 10 years the equipment satt dormant until AP decided to start using it again in 1999. 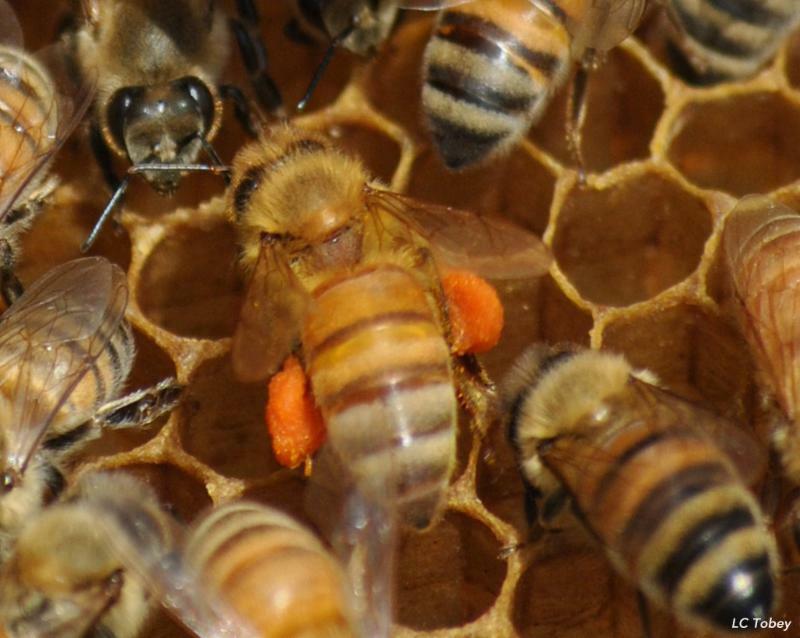 His inability to find good honey from any grocery stores sparked his interest in beekeeping. 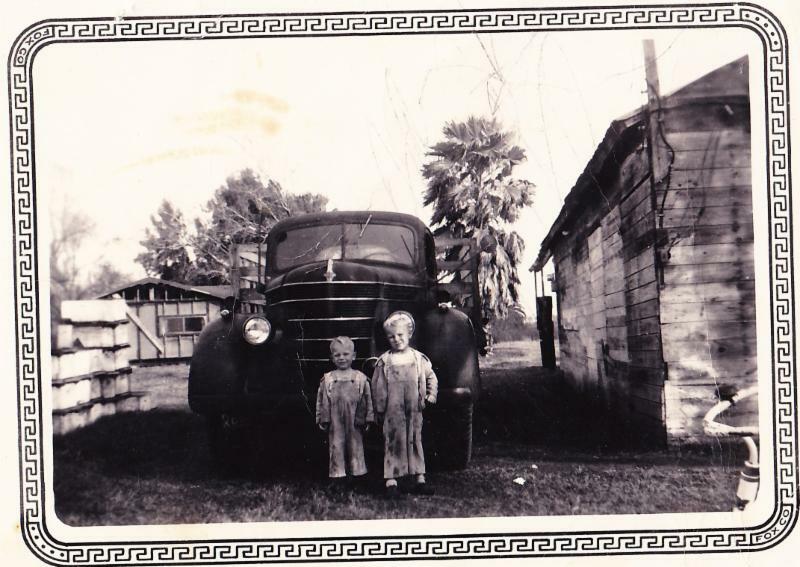 A family business since the 1920's here's a picture of Steve Warne (on the left) ready to help. Steve, Sheila, AP and Simone have great respect for honey bees, the honey they create and their impact on our food sources. 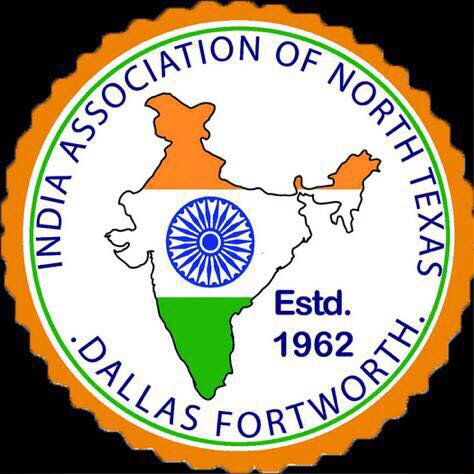 They are active in Collin County Hobby Beekeepers Association which meets at the Heard Craig Center in McKinney the 2nd Monday of each month. AP also takes care of the demonstration hive at the Heard Museum in McKinney. A bee pollinates the hive at Warne Bee Farm. AP's Apiaries offers the following honey varieties at the Frisco Rotary Farmers Market: Local Wildflower, Regional Wildflower, Huajilla, Orange Blossom, Holly/Tupelo, Buckwheat, Alfalfa, Yaupon Holly and Clover. They also provide five different varieties of creamed honey: Blueberry, Blackberry, Raspberry and Cinnamon. There is no artificial flavoring added to their creamed honey. AP's Apiaries also sells bee pollen, helpful in managing the always present North Texas allergy symptoms. They recommend that allergy sufferers take 1/8 teaspoon of pollen per day at first and allow 7-10 days for your body to start working with the pollen. After 7-10 days, increase the amount by 1/8 teaspoon and again allow time for your body to adjust to the new amount. Flavored Varieties - Lemon, Lime, Raspberry, Blueberry, Peach, Watermelon, Piña Colada, Orange, Banana, Root Beer, Apple, Cherry, Strawberry, Grape and Cinnamon. Honey straws are not just for kids! 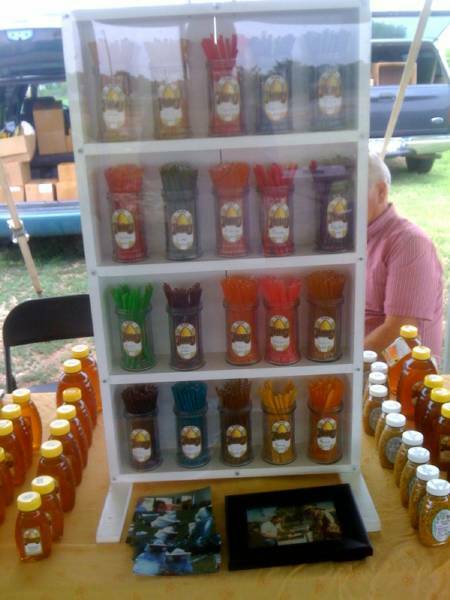 Check out AP Apiaries at the market this Saturday! As the market moves into the heavy North Texas fruit and veggie season we see more people at each market...and more people bring more cars! We are looking at options to open up parking spots in and around the market. Remember, there is usually parking on Main Street before 10:00 a.m. The Depot is also offering free parking for market customers who eat breakfast or lunch at The Depot. 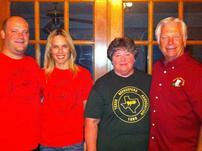 Thank you to the Depot for their support of the Frisco Rotary Farmers Market! 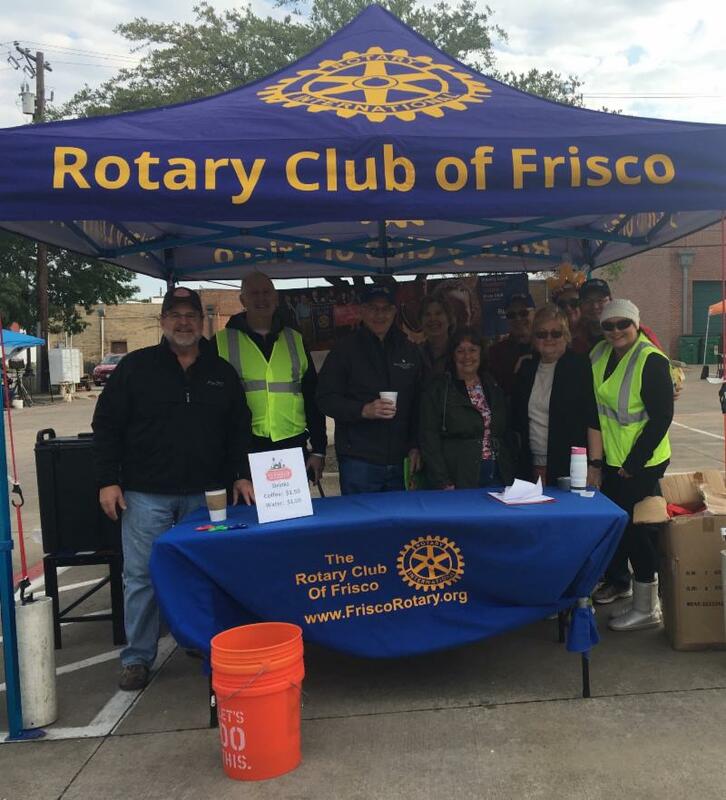 Visit the Rotary Club of Frisco Booth at Every Market! 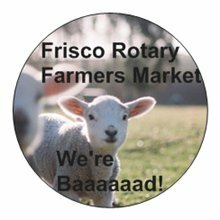 Pick Up Your FREE Limited Edition Big Little Buck the Buck Creek Lamb Sticker at the Frisco Rotary Farmers Market booth this Saturday! We also have a bottomless cup of coffee for $1.50 and bottled water for $1.00. Stroll the market and stay hydrated! 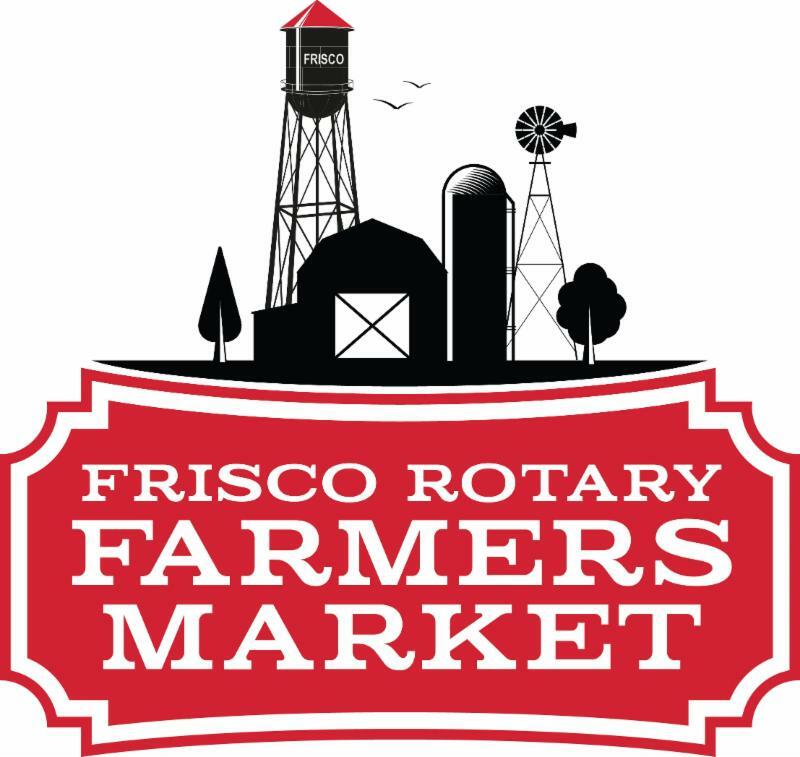 We can answer your questions about the Frisco Rotary Farmers Market, the vendors at the market and the Rotary Club of Frisco. Stop by and say hi!